Introducing the newest addition to our collection of glass furniture comes this quirky yet absolutely stunning glass top console table. 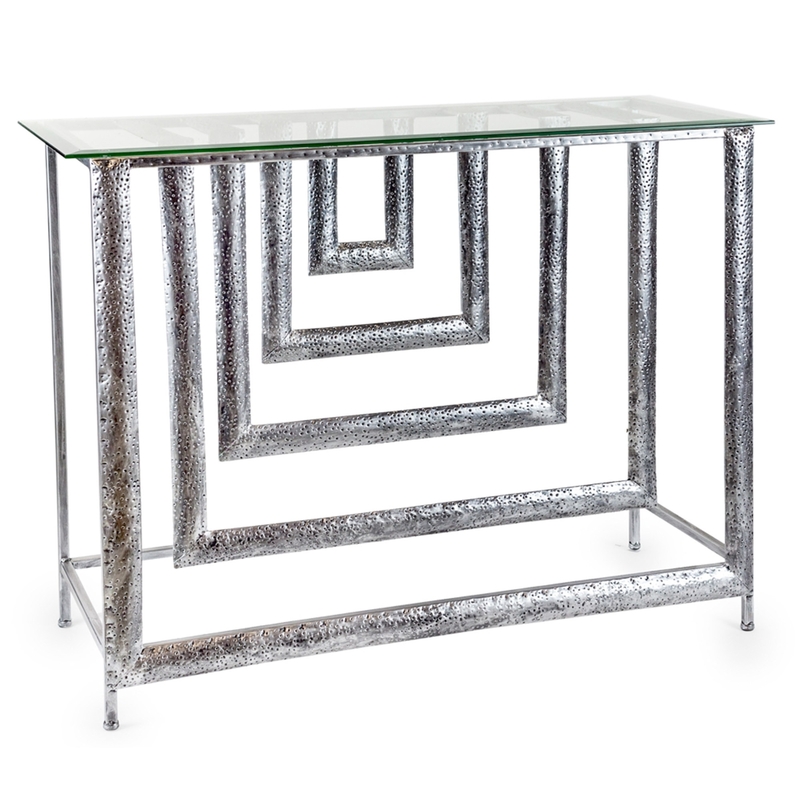 Featuring a unique dimensions designed silver metal frame and a glass top this beautiful console table will provide beauty in a varietyof homes and rooms. Handcrafted by experts this glass top console table will impress in a variety of settings.